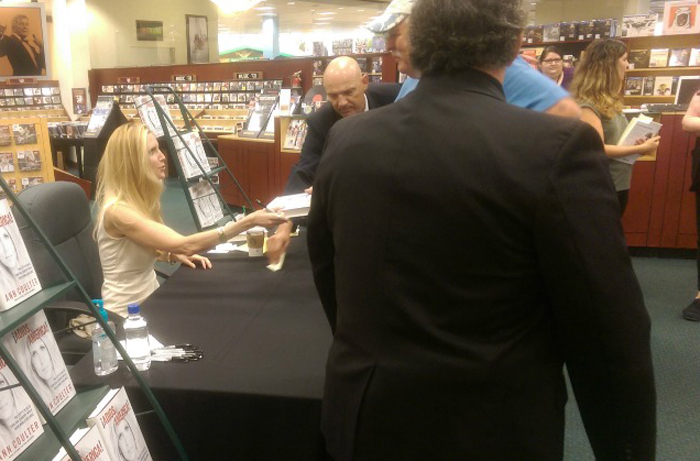 Firebrand conservative author Ann Coulter is on a book tour for her latest book, “Adios America,” and during her signing at a book store in Costa Mesa, California her event was disrupted by a handful of illegal alien supporters who began chanting and yelling at her. These loudmouth supporters of criminals chanted different slogans and unfurled a banner and were soon escorted out of the store by store security. Coulter has been supportive of Donald Trump’s remarks about illegal immigrants coming here and committing every manner of crimes.